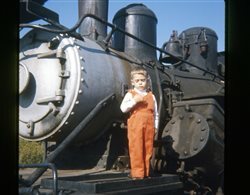 Anyone planning on attending the Berea Train Show this weekend? I'll be there on Saturday and would be interested in meeting up with anyone at noon outside the building closest to the food vendors. As usual, I'll be wearing my black NYC hat and a 5 'o clock shadow (possibly). Tom as it stands my plans is to leave around 7am for the show Saturday with a enroute breakfast stop. I look forwatd in seeing you again-we met there before. Anyone planning on attending the Berea Train Show this weekend? I have plans to meet some friends there. We will make an effort to find you and your "shadow"
1: It's my railroad, my rules. 2: It's for having fun and enjoyment. 3: Any objections, consult above rules. Attended the Berea Train show this morning and came away with more stuff that I had planned. They opened the gates before 10 AM so I was able to initially cruise through it fairly quickly. I always like to see what's there then come back to the vendors/tables that I'm interested in. (2) T-shirts - Cincinnati Northern (dark gray) & AC&Y (red). I was also looking at a Big Four, PMc&Y, and MEC t-shirt but they didn't have either the right size (XL) or right color. (3) Sorting/part trays - Various grids. I'll see what works best and then get more at the Lakeland show in March. TCS WowSteam decoder & 9-pin JST to 8-pin wiring harness - I'm not sure which steamer I'll put this in. It's a toss up between a Proto 2000 0-8-0 switcher, or my brass OMI H-10a 2-8-2 Mikado. The 0-8-0 should be just a plug 'n play since it already has a motor-decoder in it. The brass 2-8-2 will need to have the motor brushes isolated from the frame first before accomplishing that. At noon I met up with Ed (gmpullman), Steve (leadpirate), and two of Steve's friends. I always enjoy meeting and chatting with forum members at shows when the opportunity arises. It's great to put a face to the name, even though I had already met everyone before. I also received a surprise gift from Ed: A used Kato NW2 switcher. (Thanks, Ed! ) I may use the chassis to practice converting it to DCC, which is not a small project from what I've seen on the internet. It will also come in handy for spare parts for my other two NYC NW2s. Overall, the show was good but some of the bigger names (F&C and Tichy) were not there again this year. Prices, in general, were MSRP but deals could be found, if you looked. It also rained (hard) a couple of times but it was short-lived and the sun came out quickly. And temps were unusually warm for October (lower 80s)...but I'm not complaining. P.S. Larry: Did you make it to the show? I kept my eye out for you but didn't see you. At noon I met up with Ed (gmpullman), Steve (leadpirate), and two of Steve's friends. I always enjoy meeting and chatting with forum members at shows when the opportunity arises. Yes, Tom, it was nice to chat a while without a keyboard in front of our mugs! I'm glad you can use the NW2 for parts or salvage. 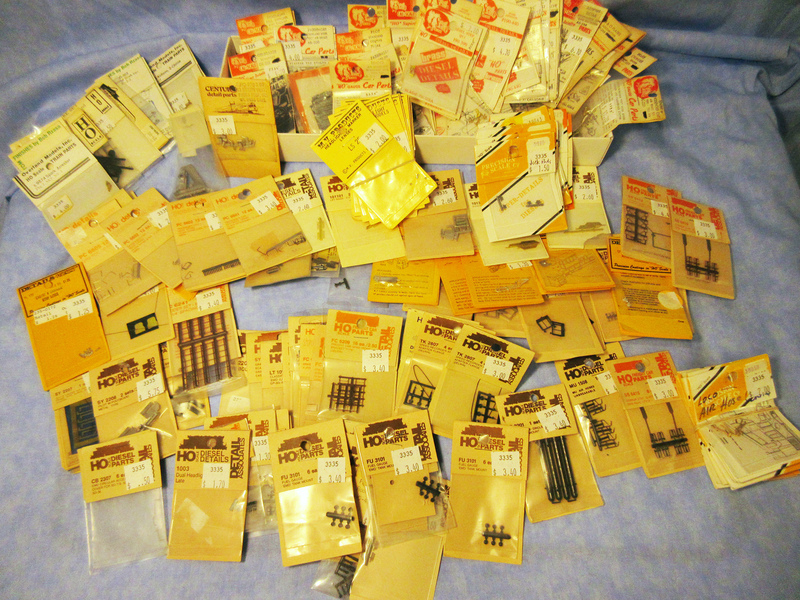 I doubt Kato will ever re-run those, at least anytime soon, so it is good to have some spare parts. I felt like a kid after a big Haloween Haul. I really wish I had one of those shopping trolleys to carry all my spiff. I didn't hesitate one moment to hand him a portrait of Andrew Jackson. Wow, I just went through them. Over a hundred packages! 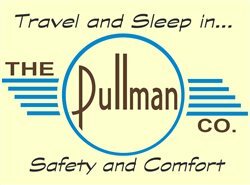 Spark arrestors, brake details, ladders, sun shades, pilots, MU plugs, LOTS of stuff! He also had six bags of Light Gray, HO ballast from Highball (good stuff!) for a dollar a bag. 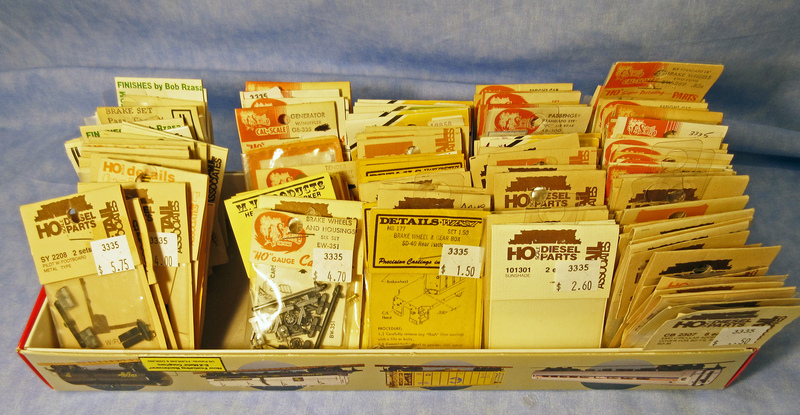 Then I found another vendor with some nice Intermountain NYC Pacemaker cars. 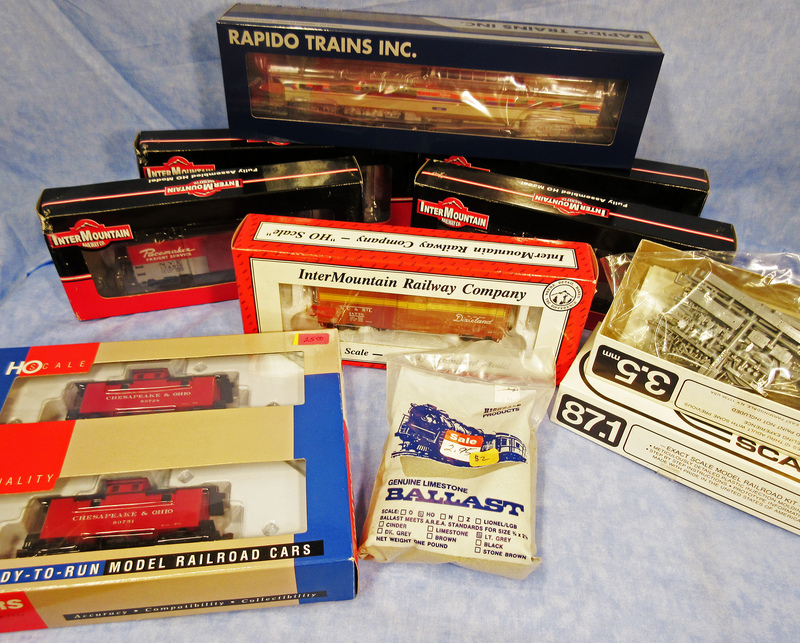 He was closing out things and a lot of it was at half-price A pair of C&O cabooses for $25? Sure, why not! The trucks alone are almost worth that. When I got home my Rapido dome car had been delivered, too. What a bonus. Then — as if I really need more locomotives — I came across these two. 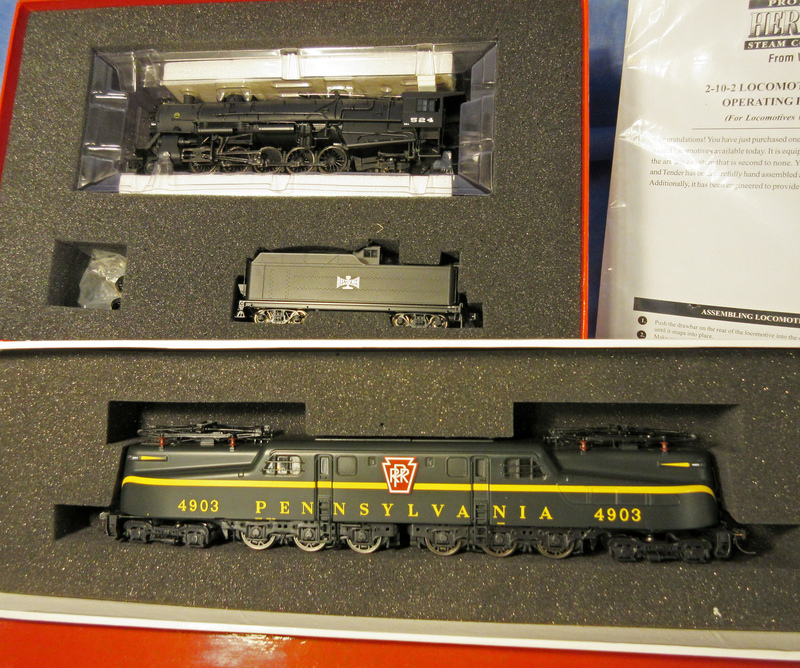 A GG1 in a paint scheme that I had been looking for and a nice, new Walthers Life-Like Bessemer 2-10-2 with sound. Both at what I consider bargain prices. Tom,Things went south with my health and instead of enjoying the show and meeting you I ended up in the ER with respiratory problems.. I'm sorry to hear that, Larry. A speedy recovery for you. Hopefully next year you'll be able to make it to Berea. Went to the show on Saturday. First time there, nice mix of vendors and manufacturers. Didn't dress for the weather though...wore jeans and dang near died from the heat and humidity! I made it to the show. It was my second year attending, and I enjoyed myself. Scored some Bowser detail pieces, including a Lineswest tender kit, a couple Accurate Lighting can motors, a Proto 2000 Nickel Plate berkshire, a NJ Custom Brass NYC Mohawk and (2) Nickel Plate Road kerosene railroad laterns. Prices were high on new stuff, but older previously enjoyed items were priced to sale. Hope you get better Brakie. Due to other reasons, I also missed this year. Hoping that things work out for Kirkland in the spring.